The Unlikely Homeschool: Our Places and Spaces: Homeschool "Classroom"
Our Places and Spaces: Homeschool "Classroom"
As we live in a very quaint, cottage-style house, with seven people, there is no room to have a ROOM. 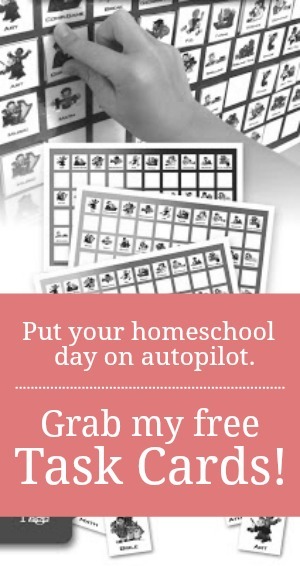 Our homeschool classroom has to wedge its way into our everyday life. And in truth, I kinda like it that way, because LEARNING and LIFE should go together. 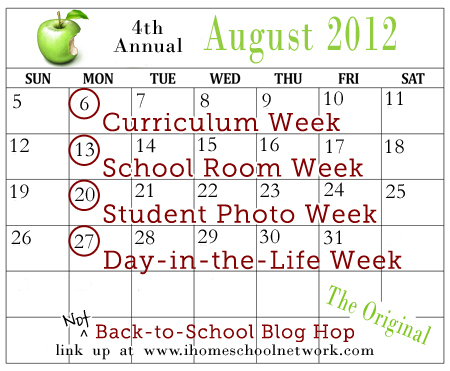 But, although I like school to be present in our home, the hubs and I don't want our home to look like a school. We have always tried to make our home a welcoming hub of hospitality. So, throughout the last five years of our homeschooling journey, I've found a few ways of camouflaging our school happenings. For the most part, much of our learning takes place at the dining room table, which as you can guess, has taken quite a beating over the years and will need to be replaced very soon. Any reading we need to do happens on the couch, the living room floor, or occasionally in a bedroom. An antique china hutch with an up-cycled coat of paint currently holds all my curriculum guides, teacher resources, a large supply of different kinds of paper, and office-type supplies. My grandmother's old 4-drawer dresser houses our flashcards that are not currently being used, manipulatives, learning games, and puzzles. On top of the dresser is a new development...each child has a magazine box which holds any of his/her workbooks, nature notebooks, and creative writing journals. These will be used with their task cards. The dining room pantry door acts as a disguise for many charts and posters. During the school day, the pantry door is often left wide open so that we can see the charts, and then closed in the evening to conceal the clutter. And then there are the baskets. We have a basket or bucket in nearly every corner of the main level of our home. This one sits on the antique hutch and houses the flashcards that we use nearly every day, stickers, and any frequently used items. Lastly, we have one larger hutch and several plastic storage bins in the basement to house previously used/not currently using curriculum, readers, read-alouds that don't fit on personal book shelves, and our annual portfolios. 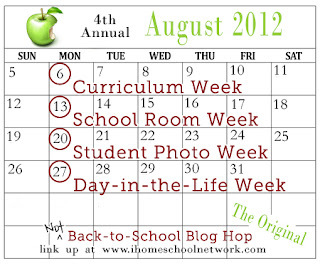 Need more homeschool classroom ideas, head on over to iHomeschool Network and check out what other homeschool families will be learning this coming school year. Ok - I am in love with that green buffet! You've done a really nice job with everything. It came from a thrift store and was REALLY ugly. I picked out the color along with some crackle gloss and the Hubs got it looking pretty one summer Saturday. I can't wait to write about them. I'm hoping they will be a great way to encourage more independent learning. Once again, I think that hutch is very pretty. 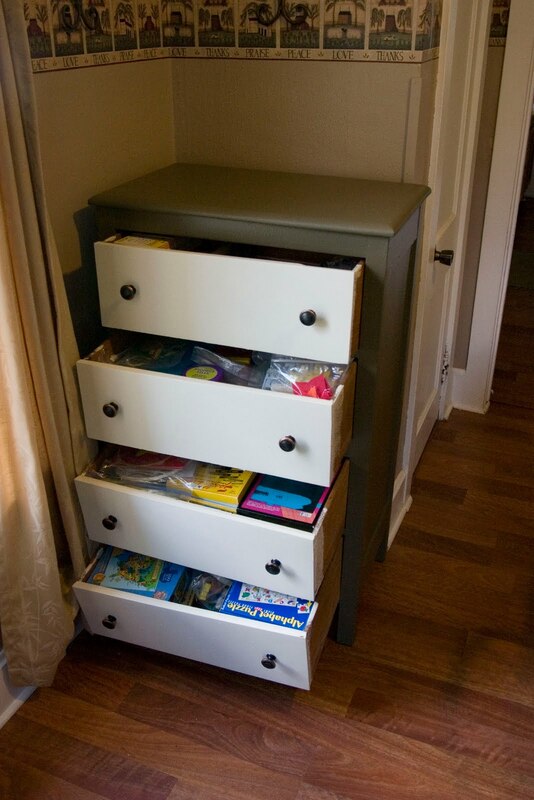 :) Thanks for sharing about your homeschooling spaces! I recently posted mine. I'm gonna go check it out now! That old China cabinet is just awesome! I llove it! LOVE IT!! The china cabinet, the charts in the cabinet... all of it! 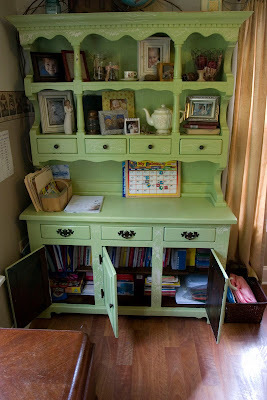 LOVEEEE your green china hutch! I agree with everyone else, the hutch is lovely!